Q: So what exactly will happen during a Karuna Session? A: Upon arrival for your session, you will be welcomed into a warm, relaxing and inviting environment with time to calm your mind and body from your day. We will guide you through an experience of platonic touch designed to make you feel respected, honored, safe and nourished. The better part of the session will be spent with you receiving immersive touch, and being held. Most people have their eyes closed, and little desire to speak, as they enjoy a rare experience of being in their bodies instead of their heads. A: We will give you instructions, ask questions and guide you at various points during our time together. We strive to engage all of the senses, with an emphasis on the kinesthetic. Like a massage, we ask that you be receptive and let us take care of you. It is completely normal for human bodies to need to shift or rearrange, to seek a comfortable space. It is also normal for your body to make noises as you deepen into relaxation. Thoughts may arise that invite you to be distracted from your experience. Let them drift by, noticing and releasing, like clouds on a beautiful spring day. Chatting is discouraged, but we encourage feedback if you like or dislike something. We understand this experience may be cathartic. Emotions and feelings arise; please feel free to express them. Kleenex are complimentary. A: When you come for your session, we ask that you leave plenty of time to deal with horrendous Austin traffic and arrive promptly. If you are early, you may sit at the table and chairs provided outside for a few minutes to clear your head. Please be aware that we will be in physical contact with you, and groom yourself accordingly. You are free to wear what you wish – garments will be provided for you to change into. We recommend, if at all possible, that you give yourself some time to integrate your experience when we are finished. Taking a walk by Lady Bird Lake, getting a bite to eat or allowing yourself some quiet time is advisable. You will be back in the hectic, chaotic pace of modern life sooner than you wish. A: We work in central East Austin, about 10 minutes from 6th and Congress by car. The address will be provided upon payment for your appointment. A: A full length session lasts approximately 75 minutes. After that, you have the option of either 30 or 75 minutes. All clients must participate in a full-length session the first time. No exceptions. Many clients find they get what they need in a single session, and return only once every 6-12 months to reset their bodies and minds. A: We do not offer same-day appointments. If at all possible, we will get you in within a week. It’s well worth the wait (pinkie-swear-promise!). We have seen the profound transformation that can happen after a Karuna Session. There are many who seek out our services who are well-adjusted people going through a rough patch in their lives. Other people have deeper trauma and pain. If you are in the latter category, we will not work on you without having the support/cooperation of your doctor or therapist. We are not medical professionals, nor do we claim to be. We would hate to have you leave, find yourself feeling vulnerable and not have anyone to help you work through the thoughts and feelings that arise. Epiphany Jordan, Karuna Sessions’ primary practitioner, has been trained by the Institute for Mind Body Therapy to work in tandem with therapists and clients to provide information and feedback. If you do not have a therapist, (or your therapist is unwilling to work with us) we are happy to refer you to someone. Q. Do I get to choose my practitioners? A. Your session will be conducted by the practitioners who are available at the time of your appointment. We will inform you of which practitioners will be conducting your session in your welcome email so you know who to expect. There will be little conversation other than getting feedback from you about how you are feeling and giving you instructions of what to do next. Once we get past the Initiation stage of the process, the practitioners become more like background noise as you relax into the experience. We are the facilitators, not the focal point. Q: Is this a massage? A: There are parts that will seem similar to a four-hand massage, but the touch given is gentle and soft. While there are massage styles designed to be relaxing, massage focuses on the muscles beneath the skin. Our intention is to provide a light touch that is more reminscent of a mother touching her baby. Our format is based on a protocol developed by one of Epiphany’s teachers, Inara deLuna, and it is a unique approach to wellness. In many ways it is more relaxing than a massage, and is designed to integrate body, mind, heart and spirit. The result is a powerful experience that offers a profound sense of relief and refreshment. Don’t take our word for it; read testimonials from clients who have benefited from this work. Q: Will my boundaries be respected? A: Absolutely. Empowering people to clearly state their boundaries is one of the most important parts of a Karuna Session. “No” is a complete sentence, and an acceptable response at any time. Creating a space where you feel safe and cared for is our primary goal; if the touch is not consensual, it won’t feel good. We will all be fully clothed during the session, and we will ask for your explicit consent before touching you. We ask that you respect our boundaries as well. Q: How are you different from cuddling/snuggling businesses? A: While there is some cuddling involved in what we do, we are not professional cuddlers. At all. If you’d like to read an in-depth explanation about what makes us so unique, you can check out this blog post. Our offering is wholly unique. Karuna Sessions has elevated being touched by strangers from an awkward, utilitarian experience to a beautiful art form that celebrates human connection and demonstrates compassion. We have designed our services to be fully immersive: we simultaneously make you feel safe and comfortable while putting you into another reality. We strive to gently and slowly get you out of your head and into your body and allow you to experience being cared for on an emotional, physical, mental and spiritual level. The result is a state of profound relaxation, tranquility and peace that goes far beyond what you would get with a visit to a traditional cuddle business. Q: Do you offer one-on-one sessions? Long answer: Many of the people who come to see are in pain and experiencing grief, exhaustion, loneliness, or stress. By utilizing two practitioners, we can provide a much more nourishing, focused experience. This is especially important when people have limited time and resources for self-care. We want our clients to feel replenished and deeply satisfied when they walk out the door. In addition, two practitioners are safer for both client and practitioners, and changes the relationship dynamic significantly. We are quite serious about offering a nurturing experience, and there is much less room for ambiguity or confusion in that respect with two practitioners. There is also less chance that the client will misconstrue our attention and compassion for a romantic connection as s/he might with a one-on-one. Q: I find the idea of paying for intimacy a bit creepy. A: If your life is such that you are getting your intimacy and touch needs met on a daily basis, that is fantastic. Nothing to see here, move along. If your life is such that you need our services, know that our goal is to provide comfort (albeit in a very intimate fashion). In a perfect world, all of us would have the love, connection, community and support we desire. Sadly, life in 21st-century America can be a cold, hard place, full of stress, grief, loss, fear, trauma, and loneliness. Many of us shoulder our life challenges in isolation. Our goal is to offer kindness and comfort via nurturing human touch, and to remind people that we humans need to care for each other. It’s a rare chance to discover that being trusting and vulnerable is preferable to feeling fearful and guarded (and allowing you to experience what this feels like in a safe, low-stakes environment). Honestly, we can’t see our species surviving if we don’t integrate these core, human values back into our society. Strangely, our sessions have been most enthusiastically received by one group that traditionally gets more intimacy and touch than most: mothers. Perhaps, if you dig a bit deeper, you will find that what we are offering is vital in a world that is increasingly isolating, fast-paced, insecure and stressful. Q. Why should I pay for something I can get for free? A. If reading this FAQ has inspired you to ask a friend, family member or lover to give you immersive touch and/or hold you when you need relaxation, support or relief, our work here is done! Thank you for coming, and please exit through the gift shop. Of course, the world would be a much better place if we provided immersive touch for each other and our service didn’t have to exist. 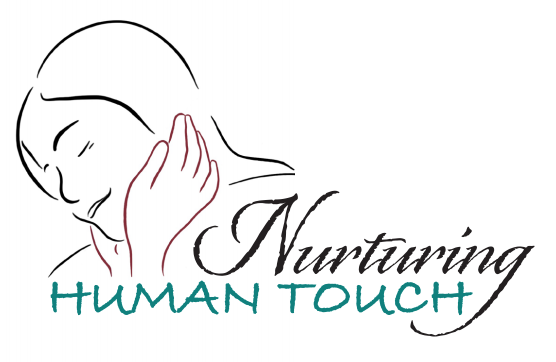 After seeing countless clients with relieved smiles on their faces after their sessions, we are more convinced than ever of the importance of nurturing human touch (and how many of us suffer because we don’t get enough). In our experience, many people find it easier to be vulnerable with a stranger than a friend. People are too ashamed to ask this of their loved ones. We would rather suffer than chance fear of rejection, misinterpretation of our intentions, awkward pauses, or expectations of reciprocation. On the other side, many people are uncomfortable with strong emotions expressed by others, and don’t know how to comfort a friend, lover or family member who is suffering. Most people who come to see us only need the occasional session to give their body and heart a reset to relaxation and peace. We have created Karuna Sessions with the intention of being a catalyst, not a substitute, for relationships with family, friends or romantic partners. It is our hope that those who have a strong support network will understand the importance of nurturing human touch and consider incorporating it into their existing relationships after they experience a Karuna Session. Q: What if I get turned on when you’re working on me? A: Eh, it happens. People also fart, burp, and cry. Stomachs rumble, noses run and bones creak. It’s all part of having a body. The vast majority of our clients are women, but the men who seek out our services are looking for a nurturing/mothering experience, and arousal has not been an issue. If you are coming to see us with a sexual agenda, you will be sadly disappointed (but there will still be tea and cookies at the end!). Q. I am coming to see you without the knowledge of my partner/spouse and want to pay cash. Is that okay? A. Sessions must be paid for in full via online invoicing prior to your appointment. We do not accept cash or credit card payments during or after your session for several reasons. If this is still an issue, we are not the droids you’re looking for, and you should find a touch professional who will accept cash payment.